Having a fulfillment provider with the infrastructure to meet your shipping needs is extremely important. You must establish a fulfillment plan based around the specific needs of your business. But these days, there are many options from which to choose. The e-commerce fulfillment boom of recent years has been a big one and it doesn’t look to be letting up any time soon. But what is going to be the best option for you business? Are you in need of a large, established provider who services mostly Fortune 500 companies, or would a small, young company that is extremely hungry for business work toward customizing fulfillment solutions that perfectly match your product and customer? There are good arguments for both. But before you decide, it is best to determine your specific fulfillment needs, outline them in detail and compare those to the capabilities of the prospective fulfillment provider. A large provider often seems more impressive. They likely have more experience and more resource capabilities. Your fulfillment plan should lead you toward asking where you and your business are going to fit within the mix. The following are several questions that will help determine if the bigger players are going to be right for your growing business. With a small provider, you have to be absolutely sure that they are here for the long haul. If they are well-positioned for growth, a small provider can often deliver the same service as the big guy, but with more personalized service. They may know how to do it efficiently, simply because they have to watch costs a little more closely. In most cases, the small provider needs your business. You may find that you are regarded as very important to a small provider, thus gaining personalized service and attention to your needs. These providers may be more willing and able to customize their service as you often are in close contact with their primaries. Finally, you might have the fulfillment function in-house. Most businesses have some seasonality or cyclicality for sales. 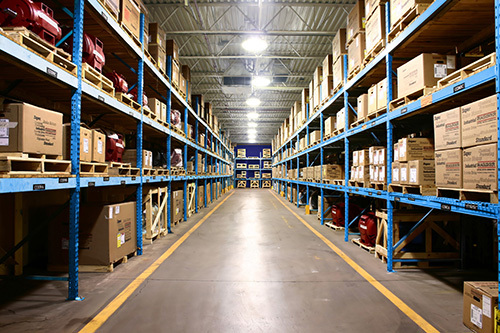 A large influx of product to meet your seasonal demand may overwhelm your facility. Do you have the labor necessary in your fulfillment plan to meet those demands? Oh sure, your kids, friends and neighbors and brothers-in-law have all said they would help. And the temp agency promises to deliver all the untrained warm bodies you could possibly need. None of these options are efficient, and none hold a candle to the ability of a fulfillment provider. Sometimes your labor solution just cannot be there the day or week that you need them. You can cover this by carrying more employees than you really need. And the cost of training short-term employees also absorbs valuable time and resources.